Match three magic objects and clear enchanted tiles from the play field. If the wick reaches the powder keg, your time is up. Locate an ancient compass and ambush fish for five-star photos in this gorgeous underwater Hidden Object game. You only have 10 Days to Save the World! 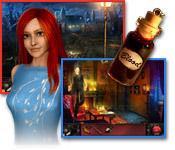 Find the secrets of an ancient amulet to stop the disasters occurring all over the planet! Guide Pengoo from hatching in the Antarctic, all the way to his first flight! This best-selling action puzzler will thrill and delight game fans of all ages. 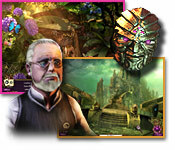 Two gameplay modes with more than 20 temples to explore, all featuring 3D-accelerated graphics and special effects. It all adds up to a breathtaking game experience, requiring reflexes of steel and concentration skills to match. Shoot balls from your stone frog idol to eliminate sets of three colors. Get rid of all the balls before they reach the Golden Skull, or you'll be history.